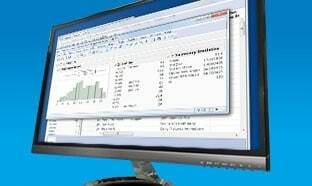 As the pro version of JMP statistical discovery software, JMP Pro goes to the next level by offering all the capabilities of JMP plus advanced features for more sophisticated analysis including predictive modeling and cross-validation techniques. 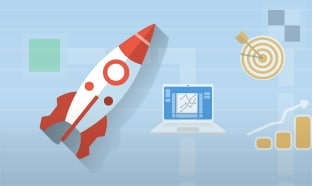 Users can harness the power and speed of the supercomputer on their desk to explore and understand data in an easy-to-use interface. Have a minute? 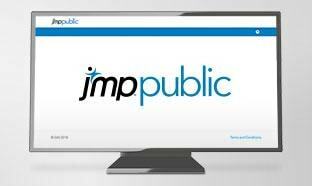 See the power of JMP Pro. Anyone can do a fair job of describing last year’s performance. 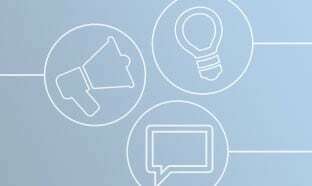 But without the right predictive analytics tools, building a model to predict what will happen with new customers, new processes or new risks becomes much more difficult. 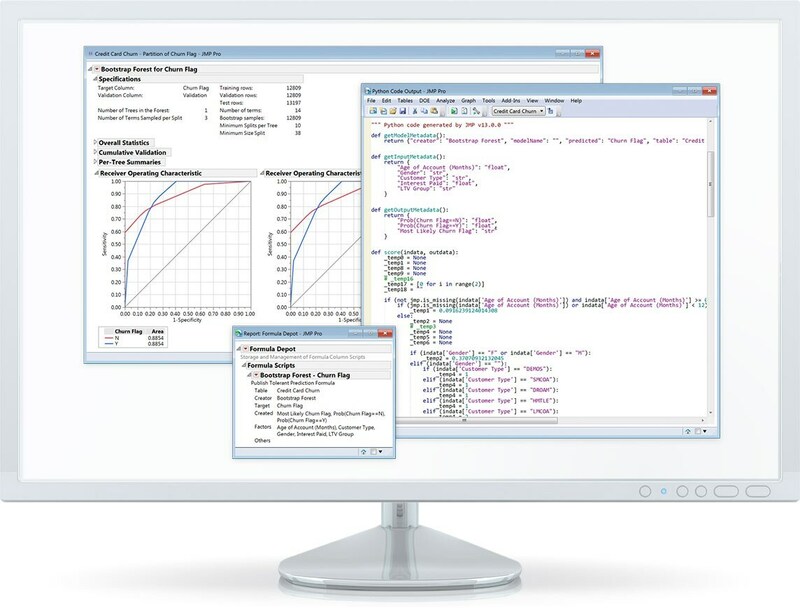 JMP Pro offers a rich set of algorithms that lets you build better models of your data. Enhance the power of your predictive models with various types of data, including unstructured text data you’ve collected – repair logs, engineering reports, customer survey response comments and more. 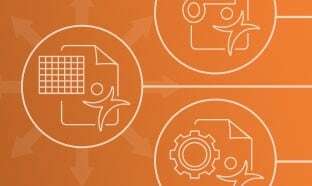 You can use JMP Pro to organize and transform that data into usable additions to your predictive models, enabling more confident decision making. 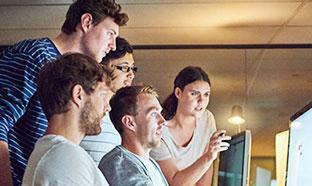 Handling your models doesn’t have to be painful – JMP Pro makes it easy to manage your work when dealing with many models. 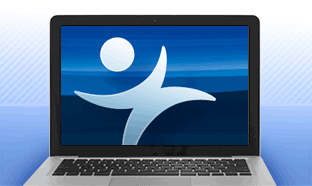 You can store, profile, compare and generate code to add into other systems like SAS. 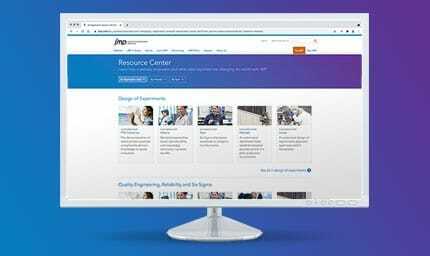 With JMP Pro, you have a collection of the most useful statistical instruments, curated by mathematicians and statisticians in JMP development. 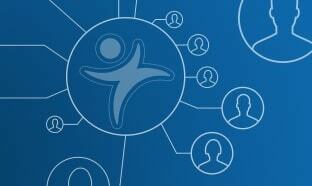 Users find what they need to analyze their data, without being overwhelmed by choices and without needing to program. 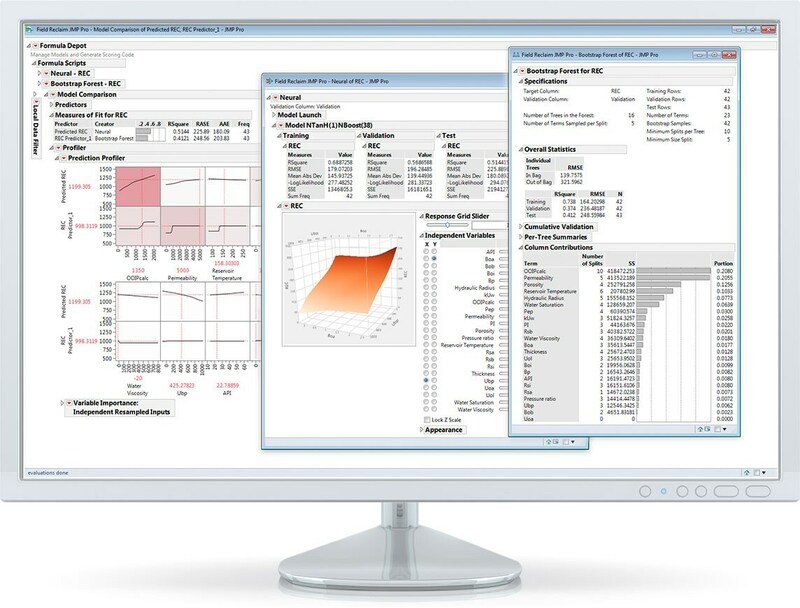 Furthermore, through dynamically linked data, statistics and graphics, JMP Pro brings your investigations alive in 3-D plots or animated graphs, generating valuable new insights that simplify your explanations. 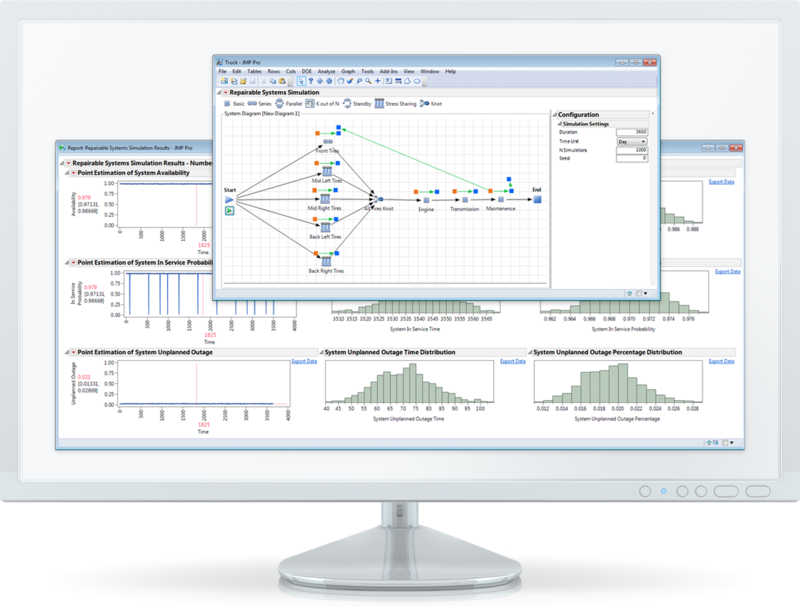 Use the JMP Pro set of rich algorithms to build and validate your models more effectively. Build a variety of models and determine the best for the problem you are trying to solve. Organize your models and save model score code in the Formula Depot. 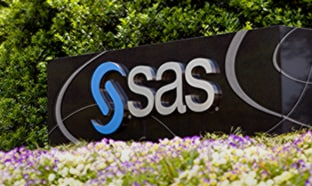 Easily access the depth of SAS Analytics and data integration. 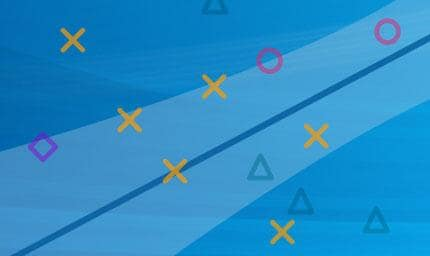 Use new modeling techniques, including Generalized Regression, to build better models, even with challenging data. Easily fix weak spots in your system and be better informed to prevent future system failures. 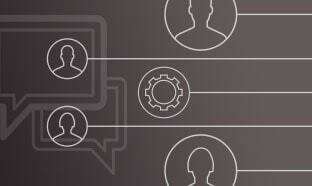 Simulate system repair events to understand downtime and number and cost of repairable events. 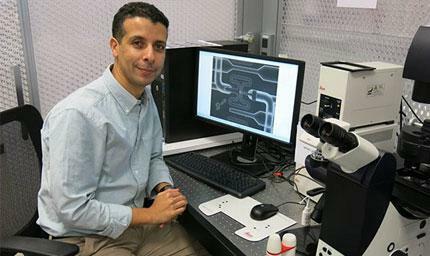 Design your experiment to maximize the probability of finding defects while minimizing cost and time. Analyze data involving both time and space, where multiple subjects are measured or groups of variables are correlated. 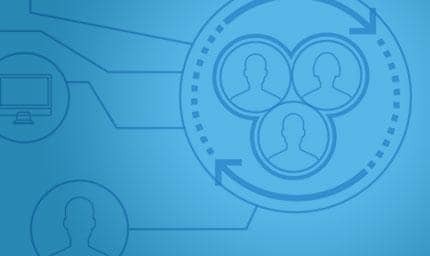 Predict consumer segments most likely to respond favorably to an action, allowing targeted marketing decisions. Use exact statistical tests, exact non-parametric statistical tests and bootstrapping statistics. 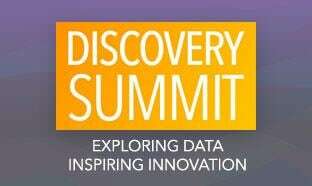 Share discoveries in dynamically linked data that comes alive in animated graphs, 3-D plots and interactive reports.